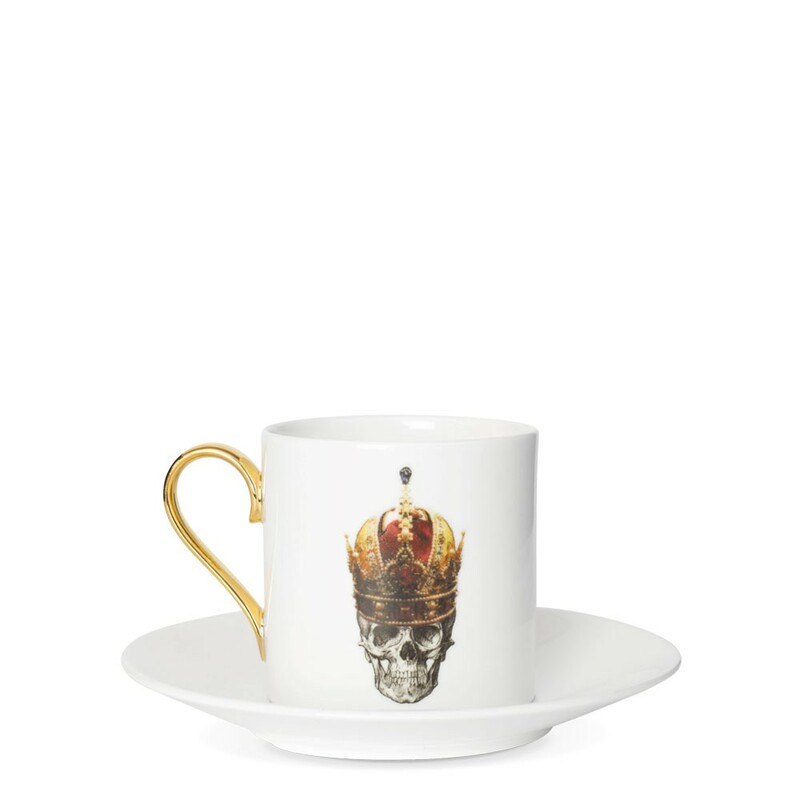 Beautiful and quirky, the handcrafted Skull in Red Crown Espresso cup and saucer, from the Melody Rose London Inspired collection. 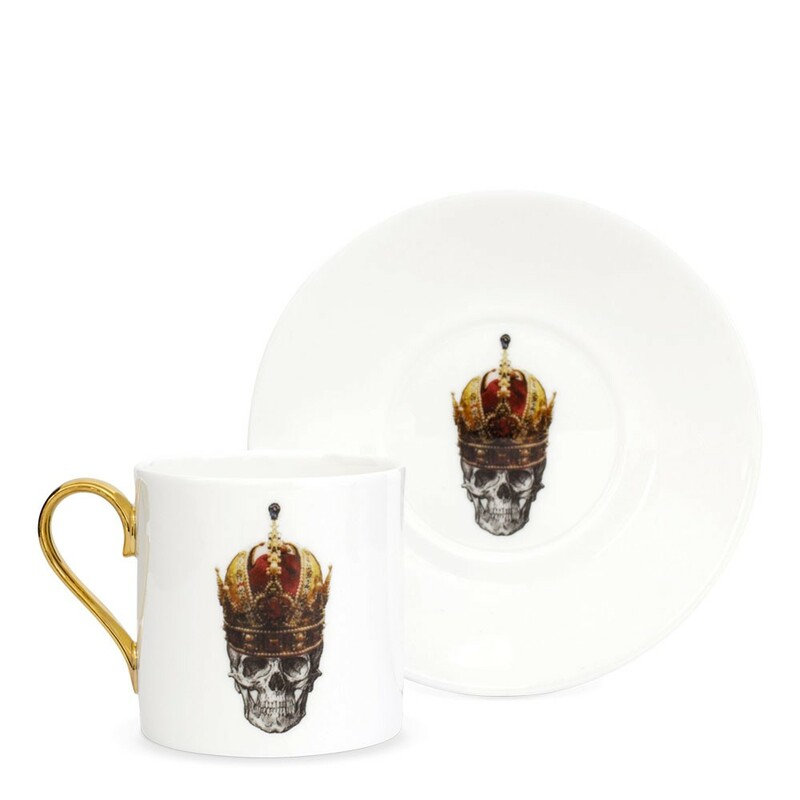 The skull design is featured on both sides of the cup as well as on the saucer. Durable enough for every day use, the gilding and glorious detail also make them Perfect for any occasion.